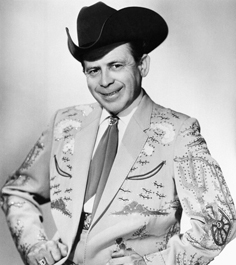 Little Jimmy Dickens Known as the ‘Little man with the Big Voice’ sadly passed away on the 4th January this year at 94 years old. Before his death he was the oldest living member of the Grand Ole Opry. Dickens was a novelty songwriter for much of his career, recording songs like “A-Sleeping at the Foot of the Bed” and “I’m Little But I’m Loud”. During his career he was able to form bonds and friendships with other country stars such as Hank Williams, Minnie Pearl and Marty Robbins. He is highly regarded as one of Country Musics’ finest performers and artists and will be truly missed, in not only the Country Music world but the Music world. Celebrate ‘Little Jimmy Dickens’ life with a collection of his finest work in our dedicated playlist to his life in Country Music. Click here to listen .